The Klipsch R-5650-S II maintains the core technology use of dual 1” Titanium compression drivers (tweeters) mated to dual Tractrix Horns, vertically stacked and skewed to maximize ambience, combined with a 6.5” Cerametallic woofer in a 2-way design. Now with a new lowprofile, more elegant grill and refinements to both high frequency and low frequency reproduction, it continues as the perfect choice for surround speakers in either a 5.1 or 7.1 configuration. The precise alignment of two controlled dispersion Tractrix Horn tweeters angled opposite of one another yields an incredibly wide dispersion pattern for ambient sound. 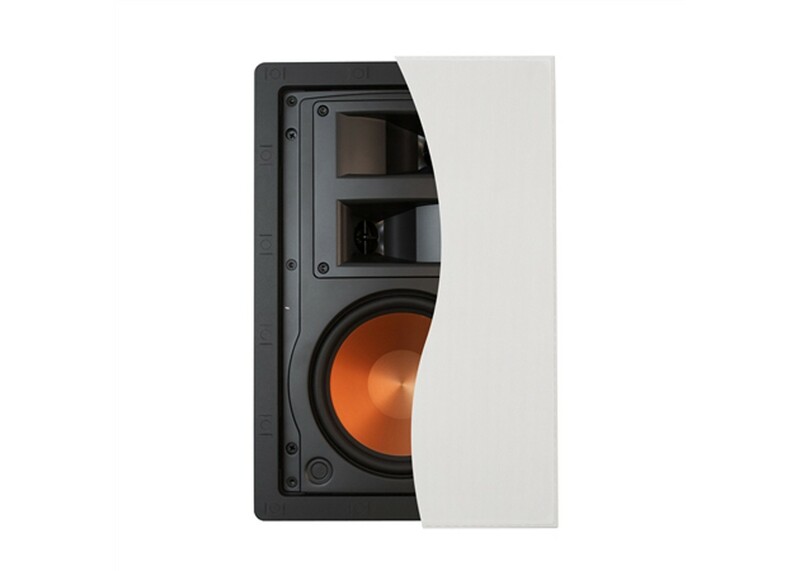 This feature, perfect for surround sound information, also allows for a speaker with flexible placement compared to competing surround speaker designs. Combined with the Tractrix Horns, the one-inch, solid-formed, very lightweight metallic diaphragms work in conjunction with precise phasing plugs at the horn throats to create highly efficient drivers with excellent transient response and lack of distortion. The new Linear Travel suspension on each tweeter assures the most precise diaphragm excursion, increasing high-frequency detail and smoothness.